Legacy paravirtualization (PV) instance types are no longer supported. Please see the "OXID eShop" page at https://aws.amazon.com/marketplace/pp/B00NPH1RAM for the current supported version. 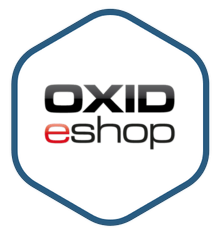 OXID eShop is a flexible opensource software for building an e-commerce platform. Thanks to its modular, modern and state-of-the-art architecture, it can be modified, expanded and customized to individual requirements with the greatest of ease. It is self-contained so you can duplicate or move the installation to different servers easily.